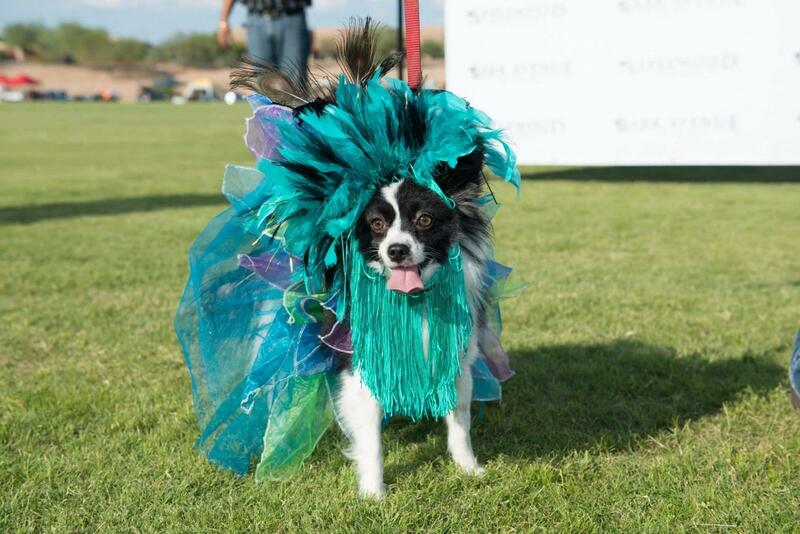 The Canine Couture: A Dog Fashion Show Like No Other! (SCOTTSDALE, Ariz.) – Unlike movies, the sequel will be better than the original. For its second year, The Canine Couture returns to The Bentley Scottsdale Polo Championships, allowing Arizona’s most pampered paws to strut their fashionable stuff in front of thousands of attendees. Presented by the finest luxury pet resorts in Arizona, Applewood Pet Resort and Bark Avenue. The Canine Couture will be held on Saturday, October 24th at 2:30 p.m and is a delight for fashion and dog lovers alike! Flamboyant is an understatement! Accompanied by the enthusiastic energy at the Valley’s next greatest show on grass, the canines, with their human companions in tow, will parade across the WestWorld of Scottsdale Polo Field and show off polo’s latest fashions. The posh pooches will be judged on overall appearance and fashionable presence. Contestants are encouraged to be creative, fashionable and fabulous. First Place wins $300 cash and a free three-night stay for your furry friend at your choice of the decadent Applewood Pet Resort or Bark Avenue Pet Resort. Second Place prize is $200 cash and a free two-night stay at either resort and Third Place wins $100 cash and a one-night stay. But Fourth and Fifth place will not lave empty handed – the pet resorts will also provide gift baskets for the top five placers. Judging The Canine Couture is a highly distinguished panel. This year’s judges are top model Michelle Davis and her canine companion Teddy, decorated dog and horse show competitor Lori Lewis, and KUSI TV pet correspondent Sandie Lampe. Last year, Westminster’s “Best in Show” even made an appearance. non-kill shelter, joins the event and will feature two dogs in the fashion show. Stop by their booth on-site to learn more about the organization and spend time with a coral of adoptable cuddly canines. Following the show, attendees can meet the judges and The Canine Couture winner at the Applewood Pet Resort and AAWL booths on the Main Promenade. Exact times TBD. All dogs, regardless of size or age, are welcome to participate. To register you must purchase a ticket to the polo event — any level allows entry — at www.ThePoloParty.com. Contact info@thepoloparty.com for more information, and complete the online registration form at http://thepoloparty.com/the-canine-couture/. Please register by October 20th. Participants can still register on-site at the event, however registering in advance allows us to plan and execute a more streamline process for you and other participants. To ensure best seats and tables, reserve tickets now at www.ThePoloParty.com. For media inquiries please contact Jennifer Parks at 480.495.3806 or by email at JParks@RoseMoserAllynPR.com. The Finest Luxury Pet Resort in Phoenix. Applewood Pet Resort serves clients in Scottsdale, Paradise Valley, Phoenix, Arcadia an the rest of the surrounding metro area. Nestled on Lincoln Drive in the shadow of Camelback Mountain, Applewood offers five-star boarding so you can enjoy your own carefree vacation knowing your pet is receiving the best of are. Our canine guests enjoy twice-daily outdoor walks, boarding spacious rooms with soothing music and suites with televisions, and access to park-like, acre size years. We also serve our canines with a beautiful, in-ground, pool. Call 480.596.1190 or visitapplewoodpetresort.com for more information. With the breathtaking backdrop of McDowell Mountains in Scottsdale, Arizona the event started in 2011. In 2014, more than 11,969 people turned out for what has transformed into the country’s most attended polo event and the world’s most interesting. Tickets, tables and tents ranging from $17.50 to $4,000 are now on sale. For all information, sponsorship or tickets please visit www.thepoloparty.com.